Exclusive Chocolate Week Event Camden Passage, Islington. | Paul A Young Fine Chocolates. 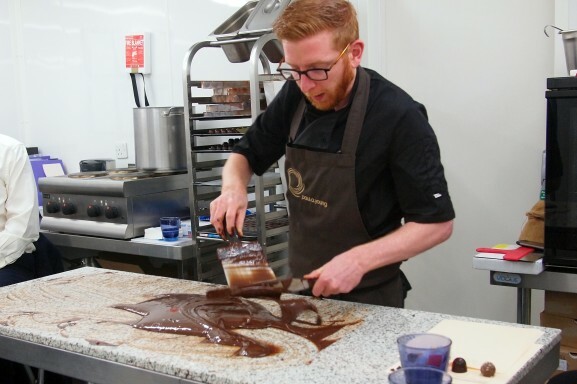 Event: Exclusive Chocolate Week Event Camden Passage, Islington. We will showcase our new Autumn Collection for 2018 with new recipes and products including Gianduja, Olive Oil and Rosemary, Banana Bread & Coffee Butter and returning by popular demand, our Spiced Pumpkin Truffle. You will also have an exciting opportunity to try hand rolling your very own truffles to take away with you. Glass of fizz on arrival. Hand rolling your very own truffles to take home with you. A four piece box of your own hand rolled truffles to take away. 10% Discount on purchases made in store on the evening. Please let us know at the time of booking if you have any food allergies. Call 020 7424 5750 or email [email protected] to reserve you place.